In the car, or out, you have power. Ok, this is my new favorite powerbank. I have had in my car for a few months now, and it just makes so much sense. When you are in the car, use it like a car adapter, while the Impulse Power Bank Car Charger is charging. When you are out of the car, use the fully charged Impulse Power Bank Car Charger as a powerbank. Perfect. Charging your smartphone has never been so easy. With the Impulse Power Bank Car Charger you can charge the 2200 mAh 5V/1.8A output power bank through your car charger or with the included USB to Micro USB charging cable that also allows you to charge devices that require a Micro USB input like Android Smartphones from Samsung, Motorola HTC, Nokia and others. Apple folks can simply use their own Apple cord, connect to the Impulse Power Bank Car Charger at the USB port. 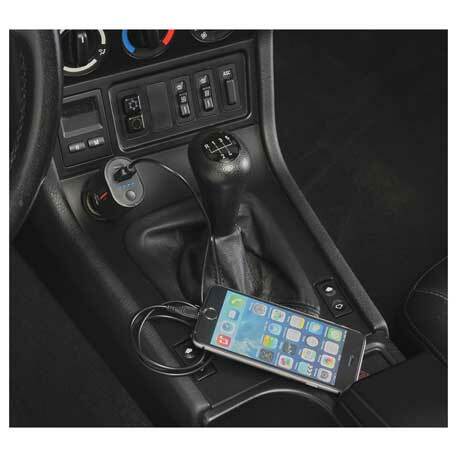 The Impulse Power Bank Car Charger is a great promo item for the car dealerships, rental car companies, fleet dealers, car and truck manufacturers, and any industry with an outside sales force that is constantly traveling. The imprint area on the Impulse Power Bank Car Charger is a three spot color maximum at 0.50″ H x 1.63″ W. A 1-piece black gift box is standard for all orders. Please contact us at info@proformagreen.com if you would like more information on – or samples of – the Impulse Power Bank Car Charger.